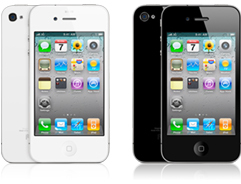 The long anticipated iPhone 4 has finally arrived but similar to other newly launched products, it is unavoidable to have some minor problems. As mentioned earlier, the poor reception problem is still puzzling some of the users as it is pretty much depending on how users hold the iPhone in hand before they can observe the phenomenon. Apple Inc acknowledged the complaint and according to Steve Jobs, the problem is related to how the users holding their smartphones and in certain position, it will alter the reception signal strength due to hand gripping and under certain positions, it will attenuate and cause the signal drop unintentionally. And by trying to avoid holding their mobile phones at the lower left with direct contact with palm, such phenomenon can be prevented. Apparently, Apple is trying to put the blame on how users should carry the phone in correct position, and is now trying to control its customers on the way to physically use the phone. But if you are left-handed, then highly chance that it will affect you with significant signal dropping (lower bar until no service) as compared to when it is laid down on table, or even when using your right hand. Nevertheless, it contradicts with one of the iPhone 4 commercial advertisements that show exact position with the smartphone being held on the left hand but yet didn’t exhibit the same problem. It seems to be more related to hardware design problem but as a quick workaround, users can either try to change the way how to hold the iPhone ‘correctly’, or opt for the bumper case specifically designed for iPhone 4 from Apple directly.